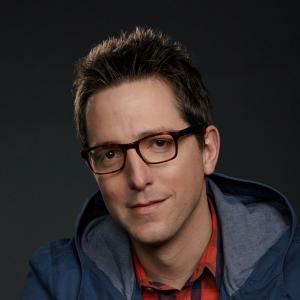 Dave Morin was born on the 14th October 1980, in Helena, Montana USA, abd is an entrepreneur and angel investor, but probably best known as a co-founder and the CEO of the social network called Path, and has also worked as a manager at Facebook, where he co-founded both Facebook Connect and the Facebook Platform. Morin’s career started in 2003. Have you ever wondered how rich Dave Morin is, as of early 2017? According to authoritative sources, it has been estimated that Morin’s net worth is as high as $100 million, an amount largely earned through his successful career in the IT indudtry. Dave Morin grew up in Montana, and skied for the northern division of the U.S. Junior Olympic team, before he studied at the University of Colorado, Boulder, from where he graduated with a BA in Economics in 2003. He was also a member of the Phi Delta Theta, and in 2003, Dave started his career in the marketing division at Apple, providing a great start to his net worth. After spending three years with Apple, Morin left and joined Facebook to become their senior platform manager. While with the company,, Morin co-created a software environment allowing third-party developers to create applications within Facebook, called Facebook Platform. He also co-founded Facebook Connect, a technology for Facebook members to connect their profile data and authenticate credentials to external websites. Dave stayed four years with Facebook, but left in 2010 and co-found the new social networking-enabled photo sharing and messaging service for mobile devices called Path, which was to contribute substantially to his net worth..
Morin helped with investments and raised capital for several startups, including an online travel service called Hipcamp. Additionally, Dave founded the venture capital firm, Slow Ventures, which is based in San Francisco, California. He is a member of the board of directors of the United States Ski and Snowboard Association (USSA), Dwell Media, and Eventbrite. Most recently, Morin, with the help of fellow investors, technological innovators, and entrepreneurs, launched a Silicon Valley-based lobbying group called Fwd.us. His net worth continues to grow. Regarding his personal life, Dave Morin married the founder and CEO of Brit + Co. Brit Morin and currently lives in San Francisco. He is an avid skier and continues to volunteer for the US Ski and Snowboard Team Foundation. Morin is well-known for his philanthropic activities, and donates to a non-profit organization that provides safe drinking water to people in developing countries, called Charity: Water. Place Of Birth Helena, Montana, U.S.